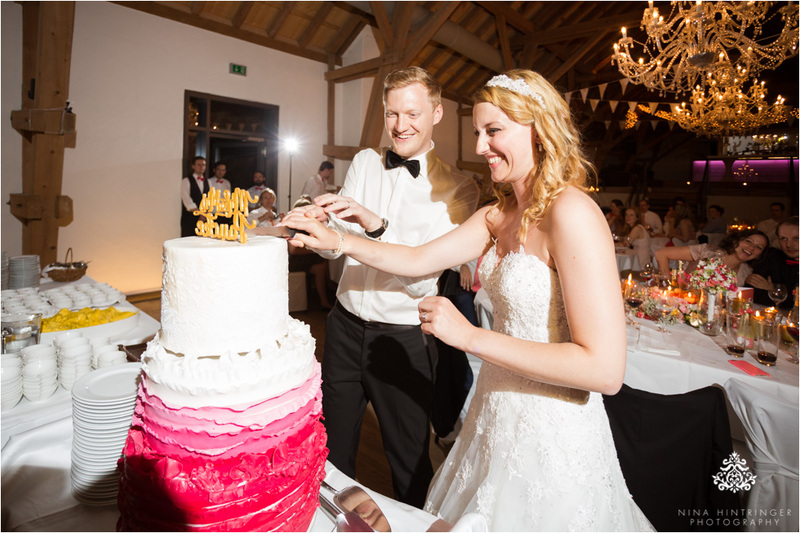 Melanie told us that she knew us and our blog already years before Philipp proposed to her and she fell in love with our work when she saw our photos published online. 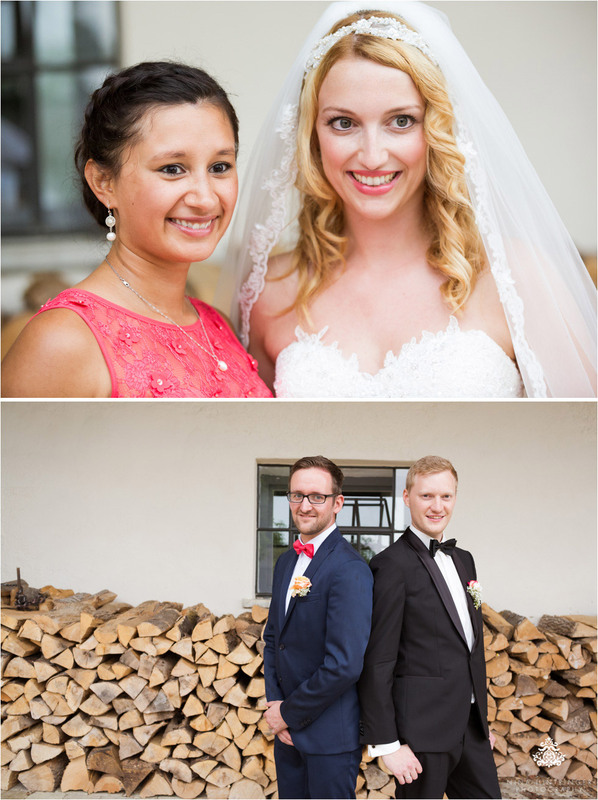 Both are in love with photography and Melanie organizes lots of photo shoots in her job. 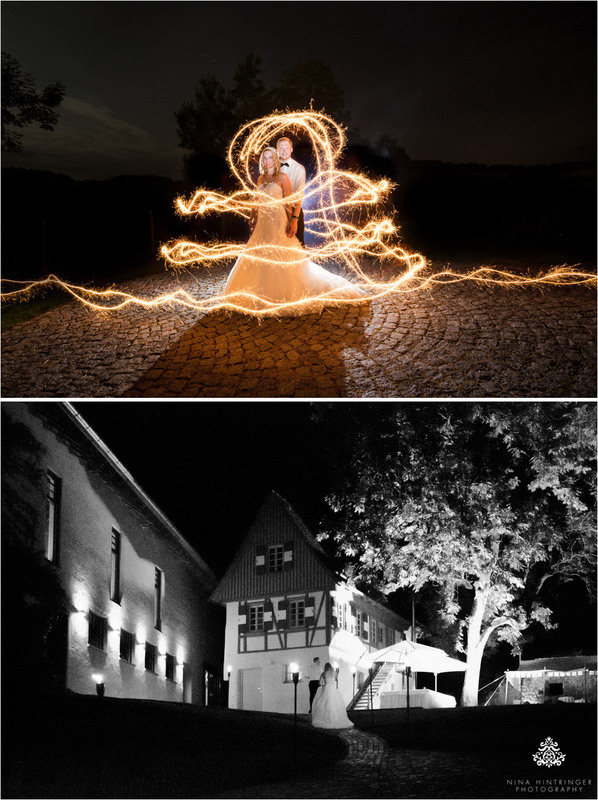 They felt so confident about our work that they contacted us right after the proposal and the availability check of their dream location. 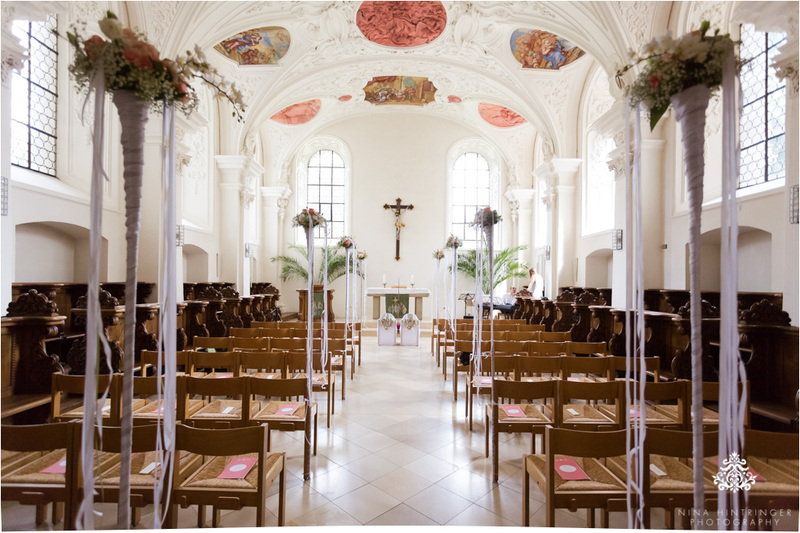 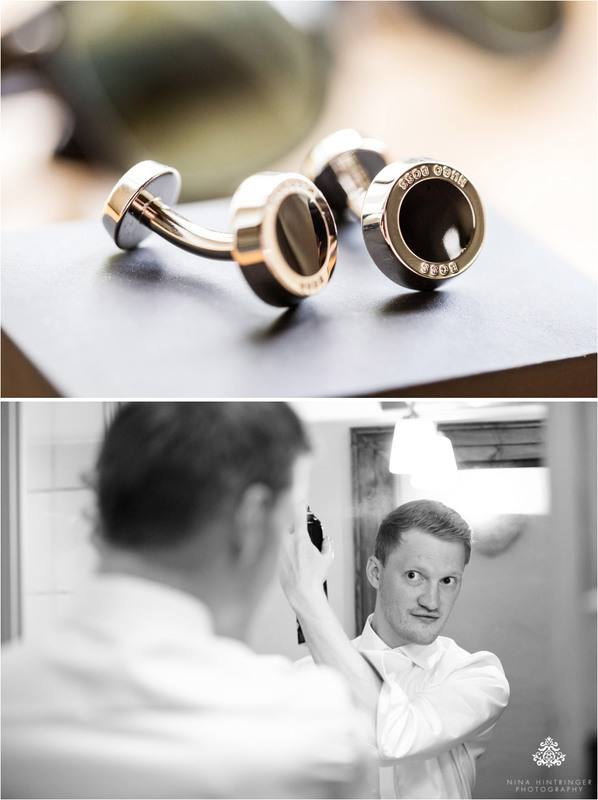 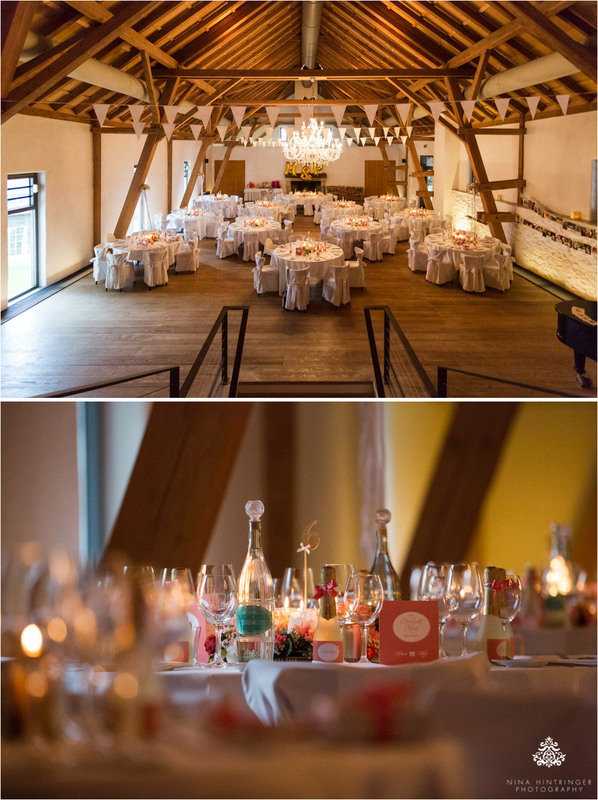 We are more than happy that we were chosen to photograph their wonderful wedding at the outstanding Hofgut Maisenburg in Hayingen, Germany. 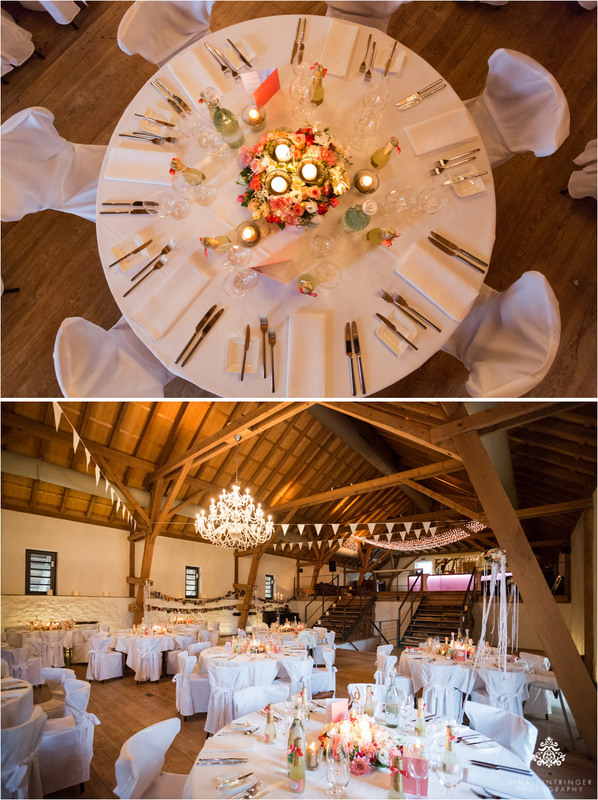 This location is really gorgeous, a lovely ambience with lots of pretty details like lusters and chimney in the ballroom. 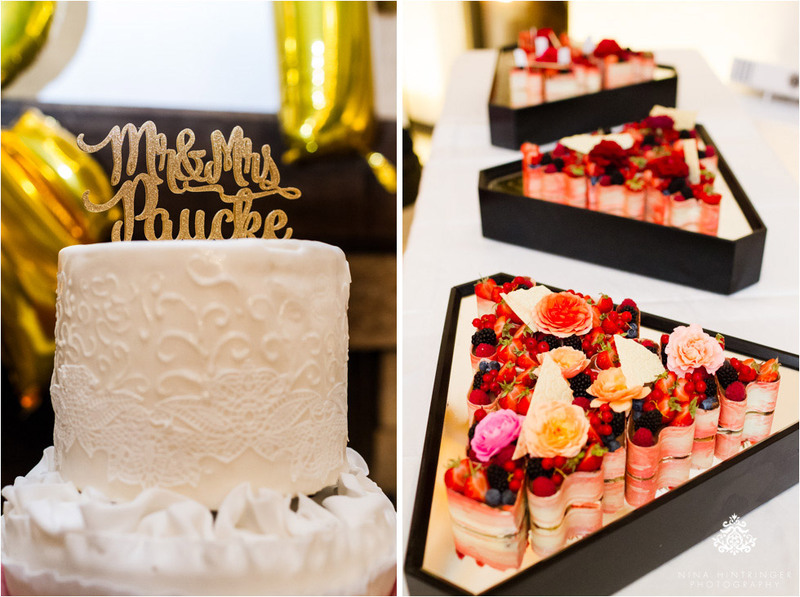 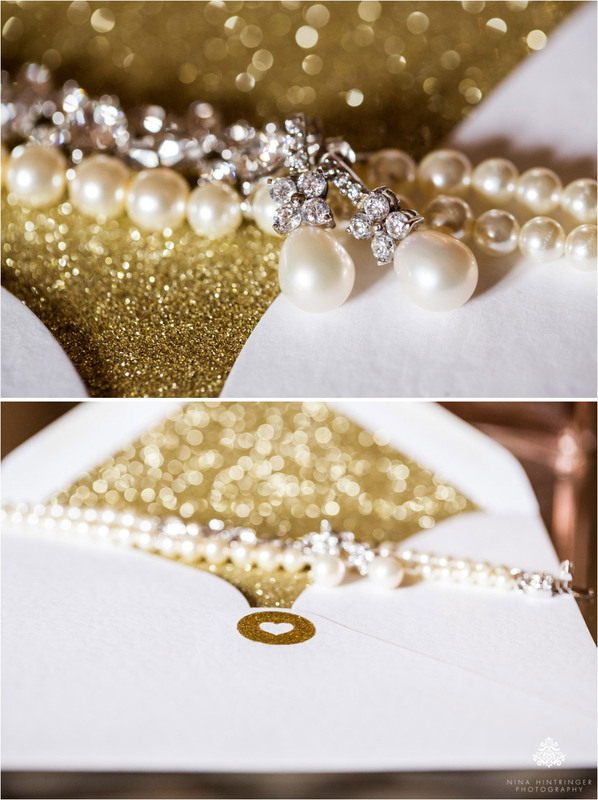 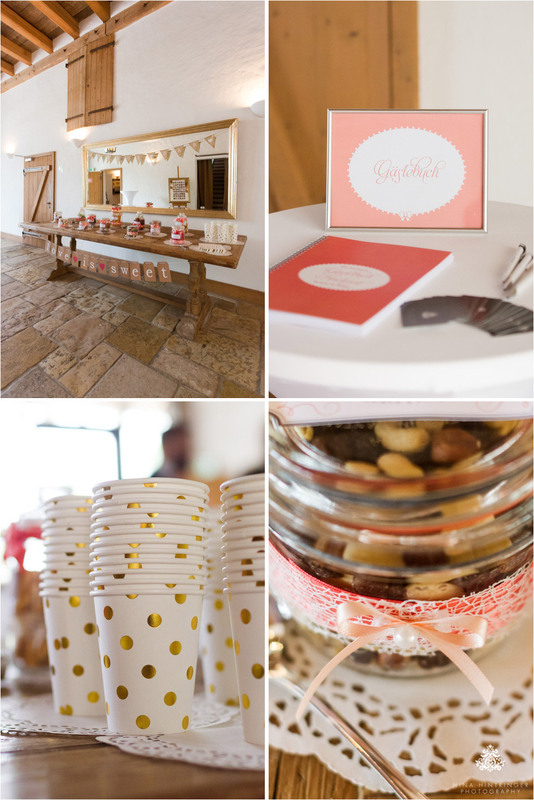 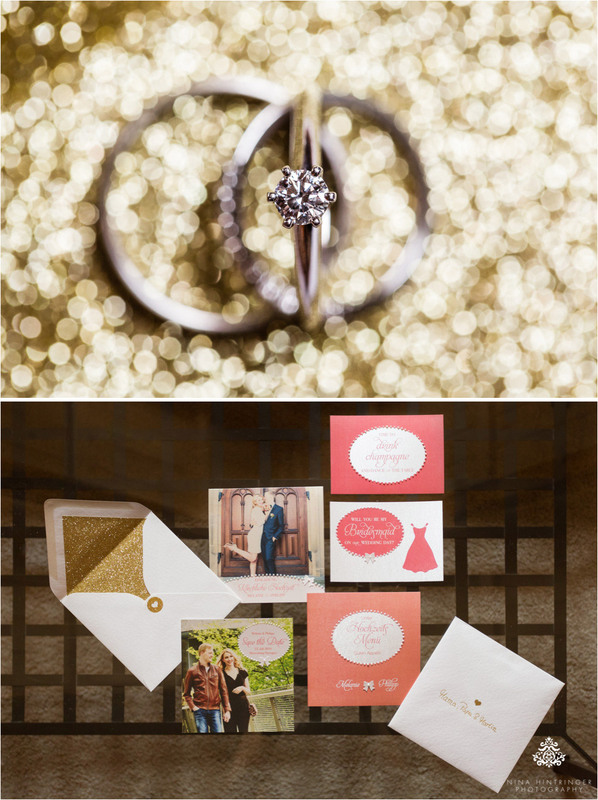 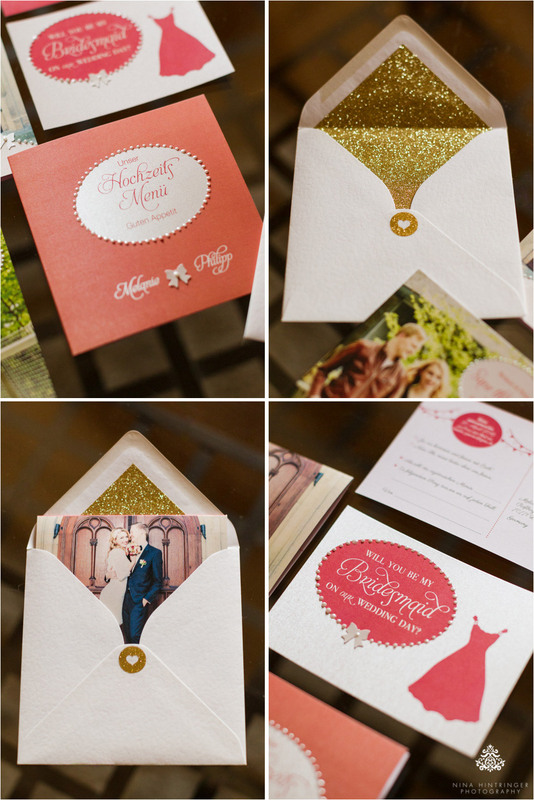 Melanie and Philipp decided to have a coralline and gold color theme and they put all their heart into creating all the lovely details and we are sure their efforts have paid off. 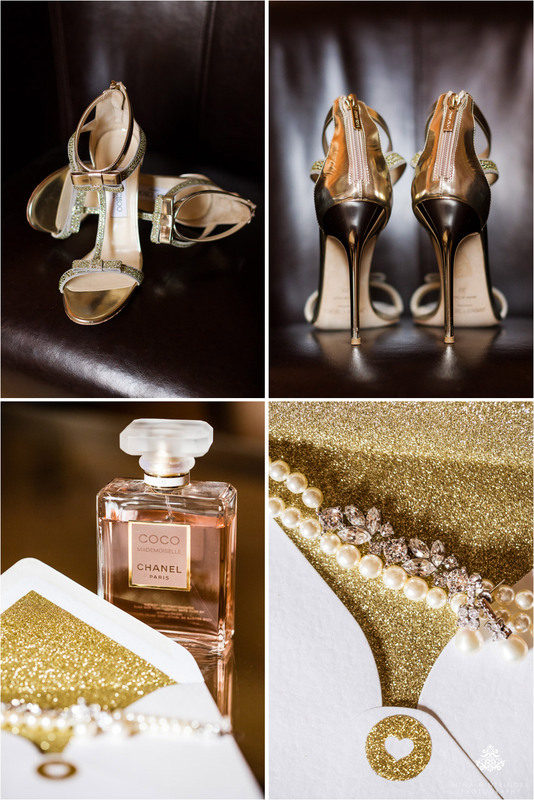 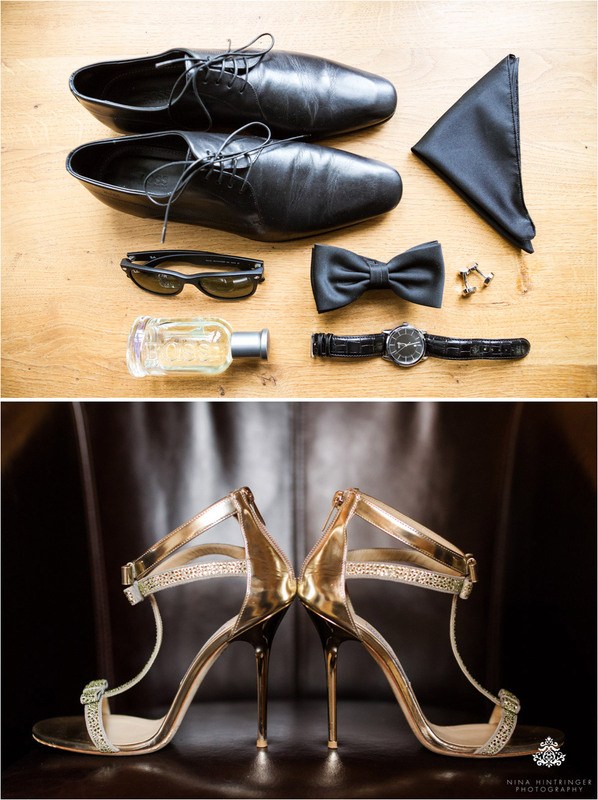 You should not miss Mealnie´s beautiful Jimmy Choo wedding shoes, they also matched their wedding colors just perfectly. 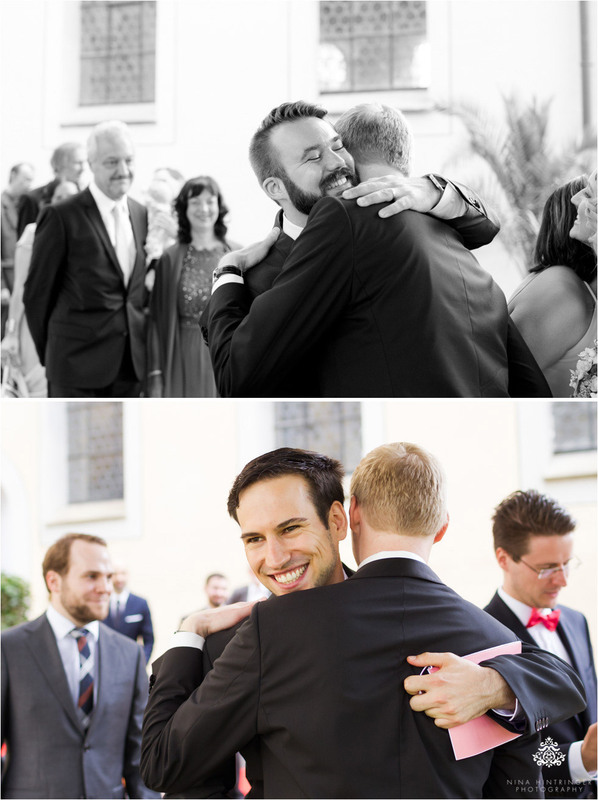 Their evangelical wedding ceremony was really touching and I had a hard time to keep my eyes dry. 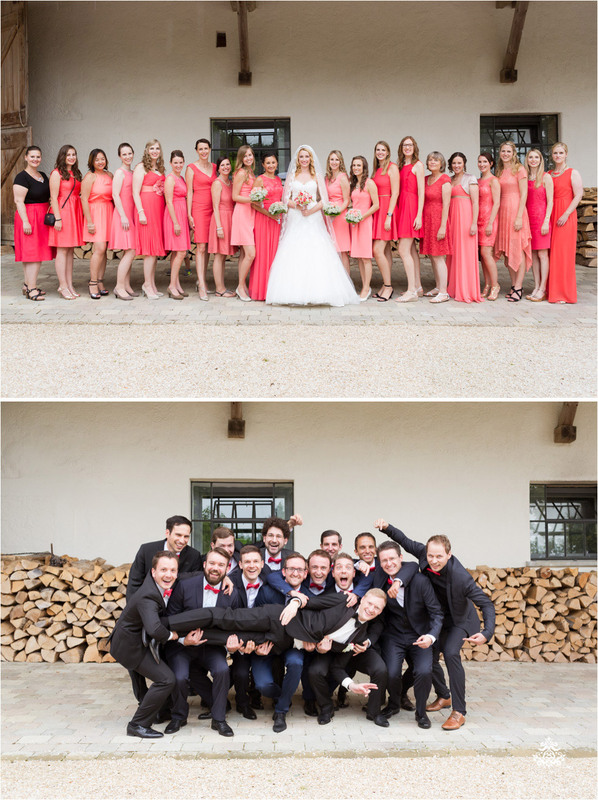 All their guests were so warm-hearted and we were welcomed so friendly and treated like family - that makes our job so special and that`s the reason why we love our profession so much. 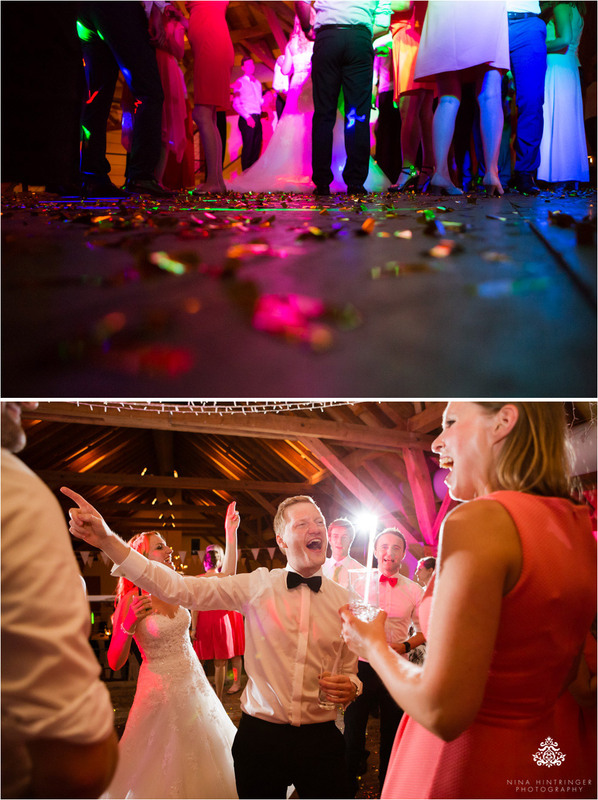 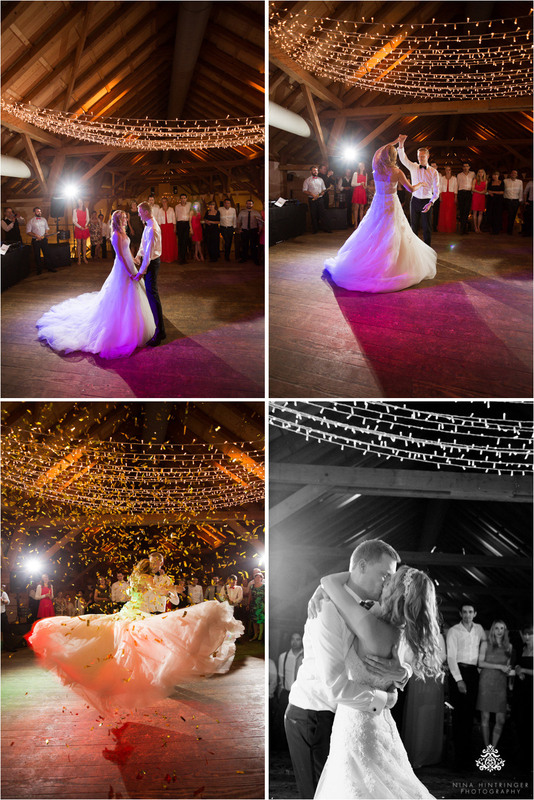 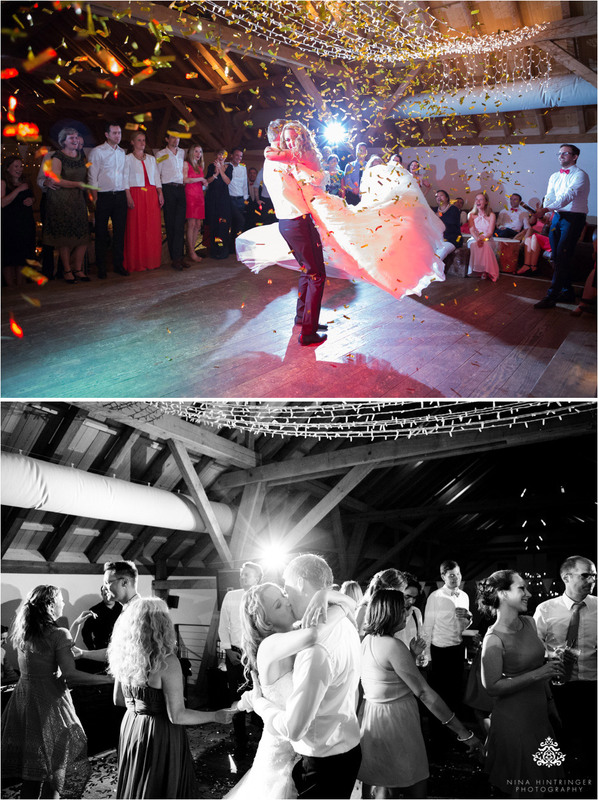 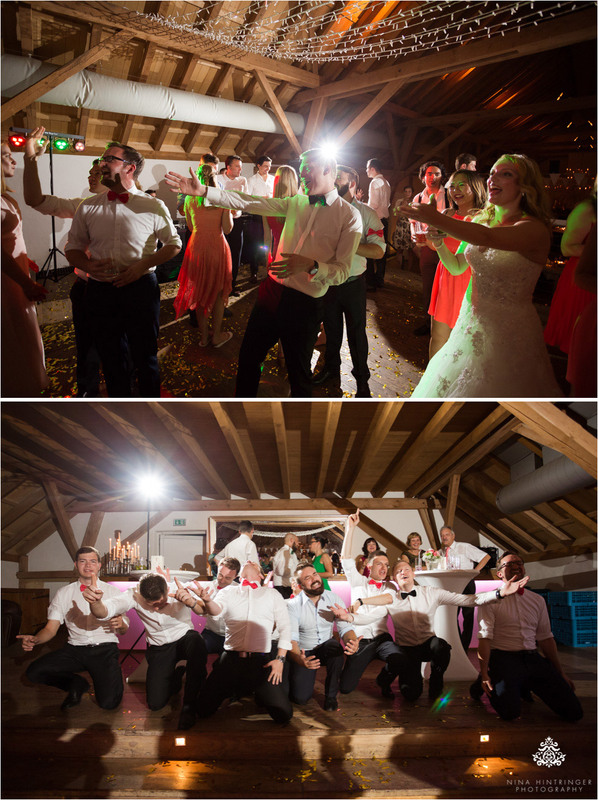 Melanie and Philipp`s fulminant first dance topped with confetti bombers was just the perfect highlight to end this wedding reportage. 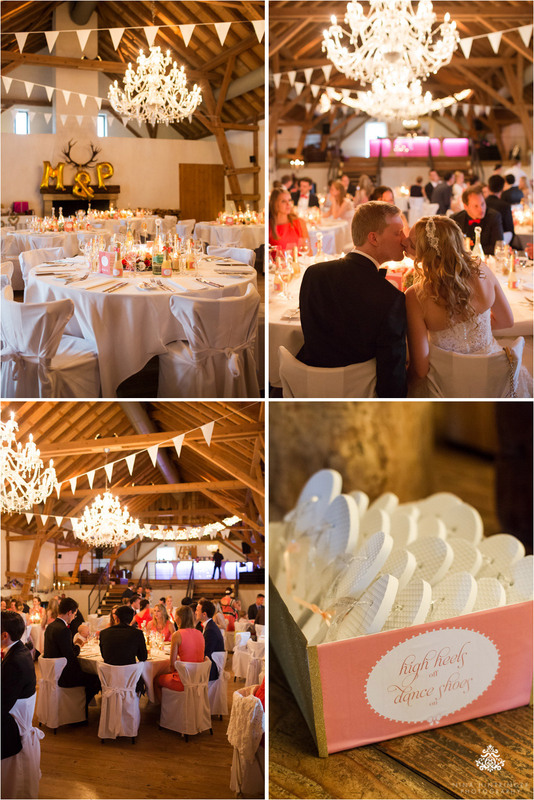 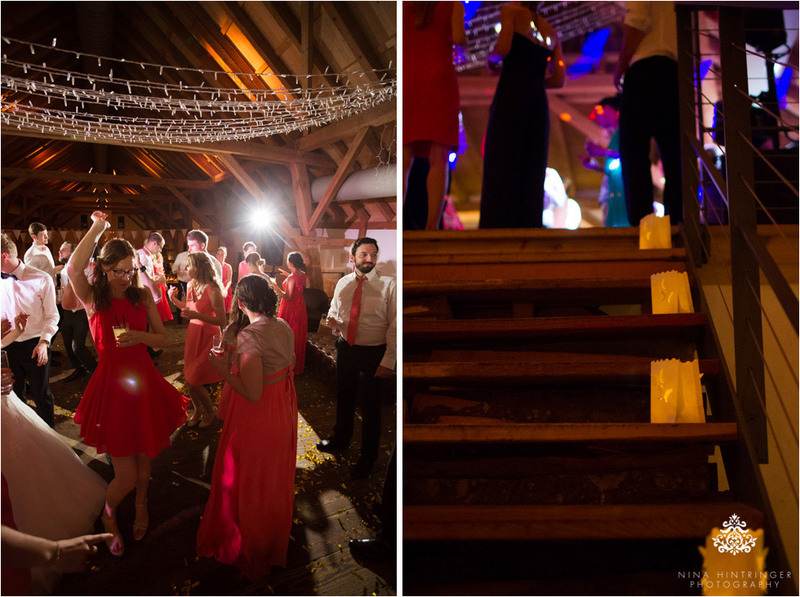 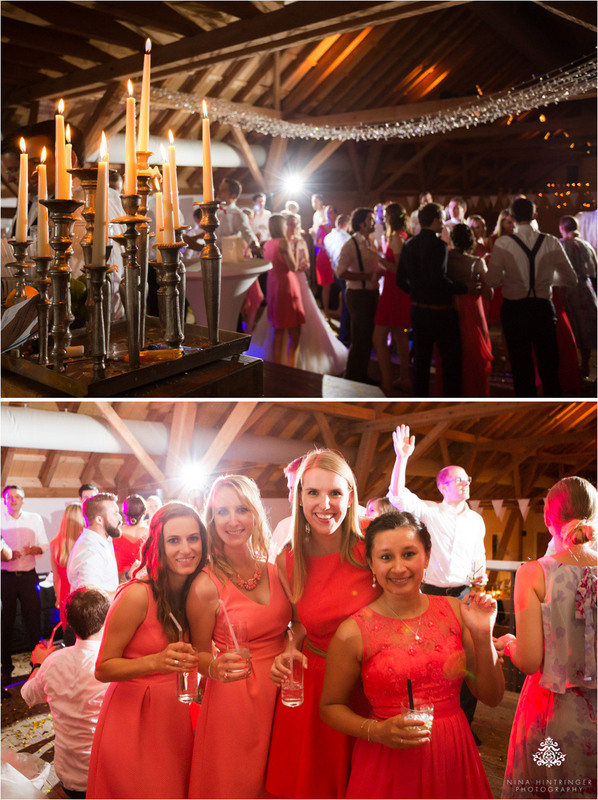 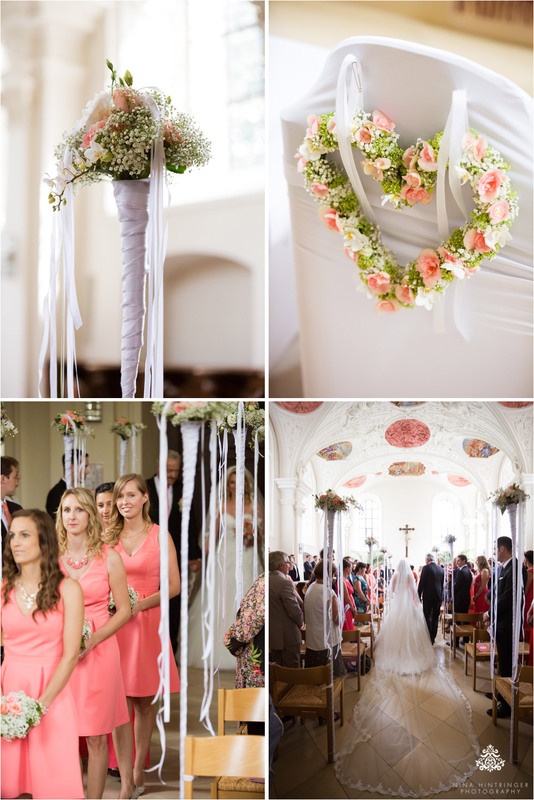 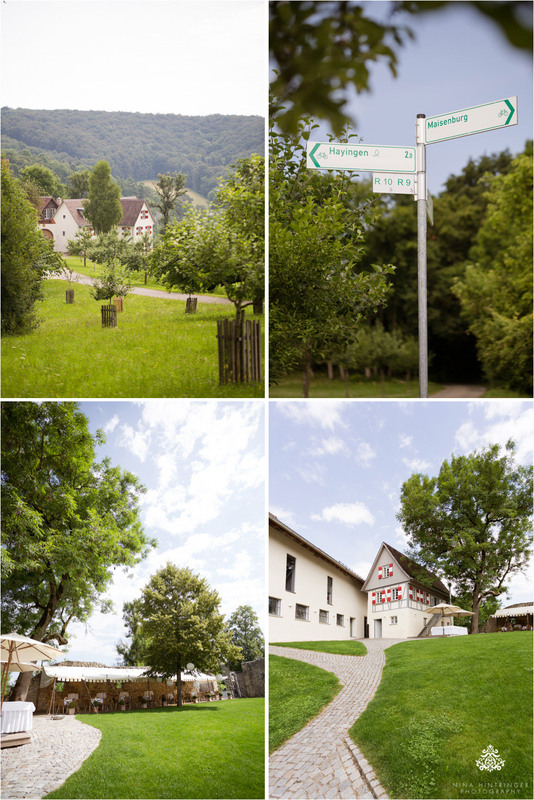 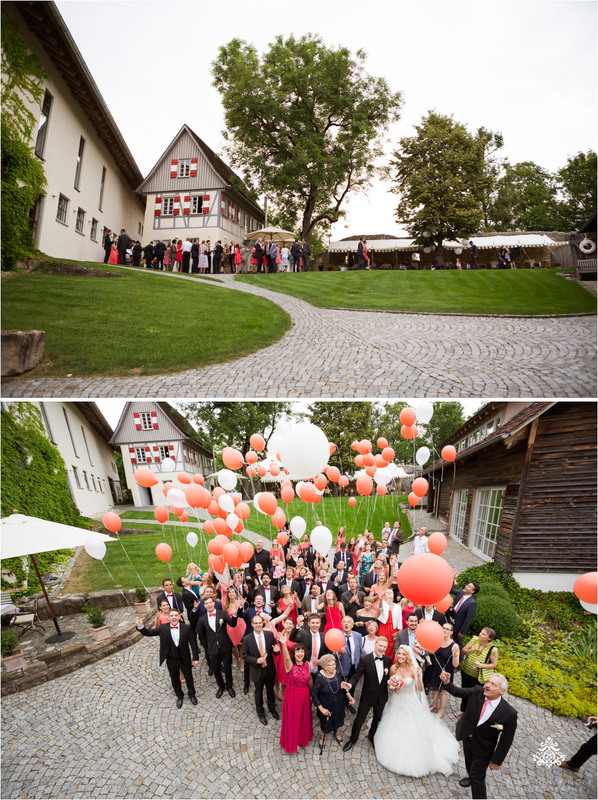 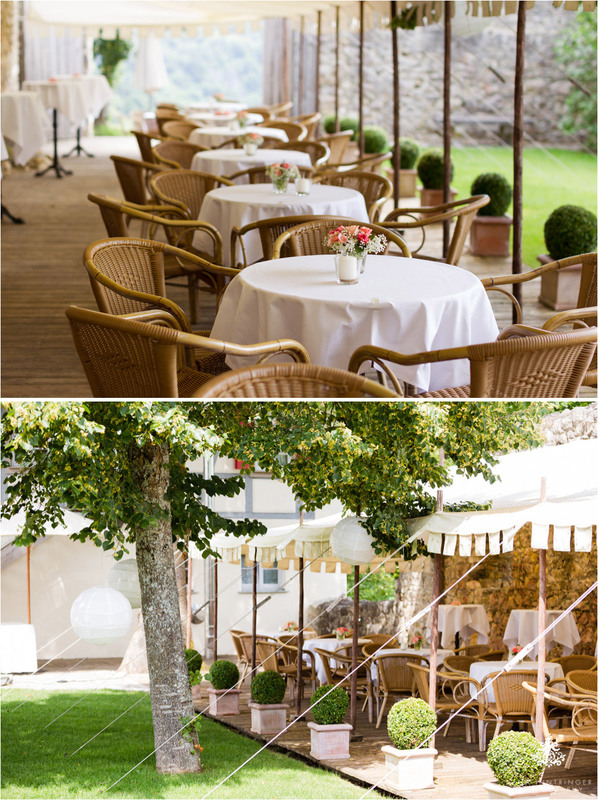 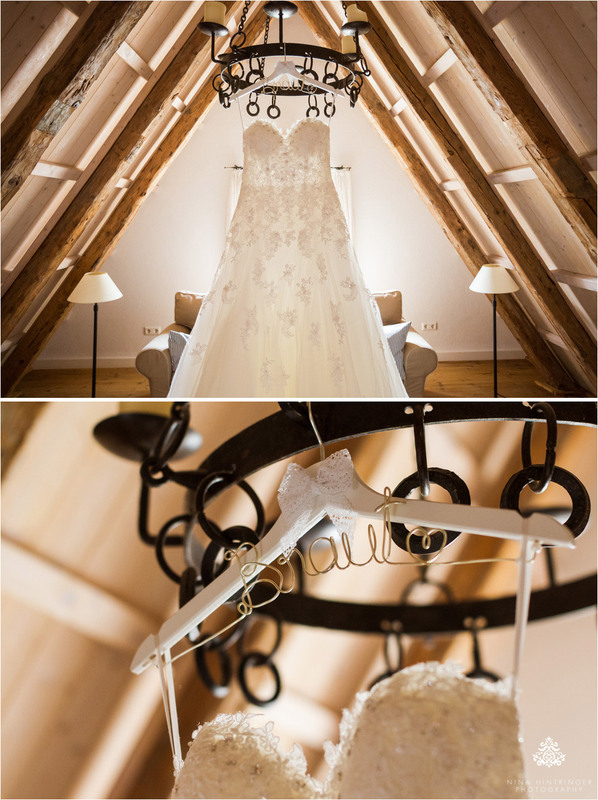 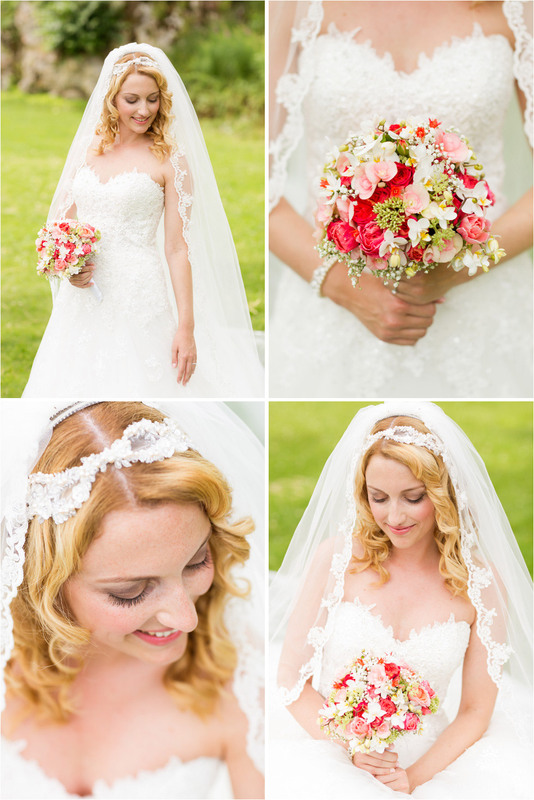 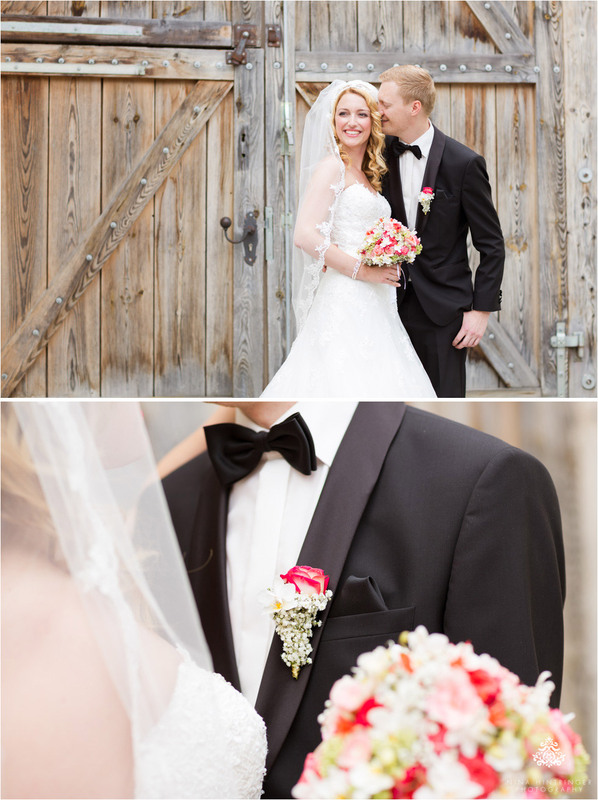 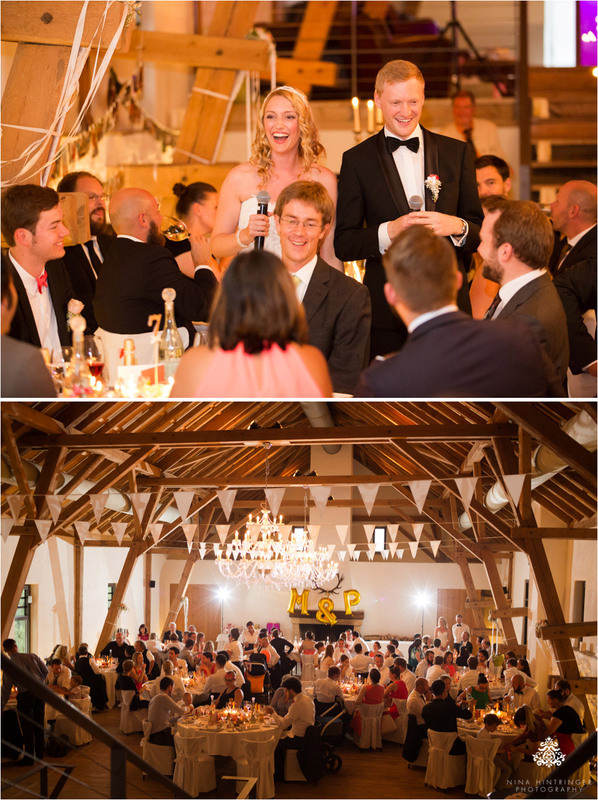 Dear Melanie and Philipp, we thank you so much for such a great day at the Hofgut Maisenburg! 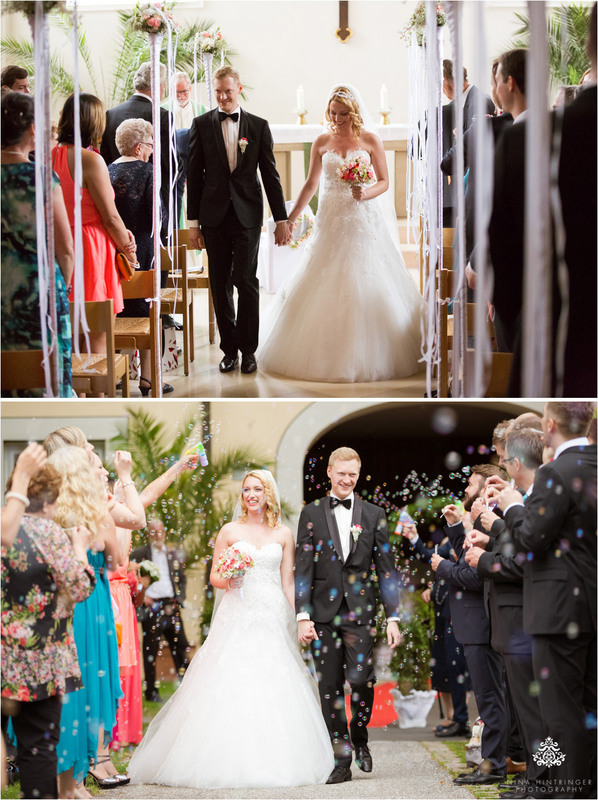 You are made for each other and your wedding was a dream. 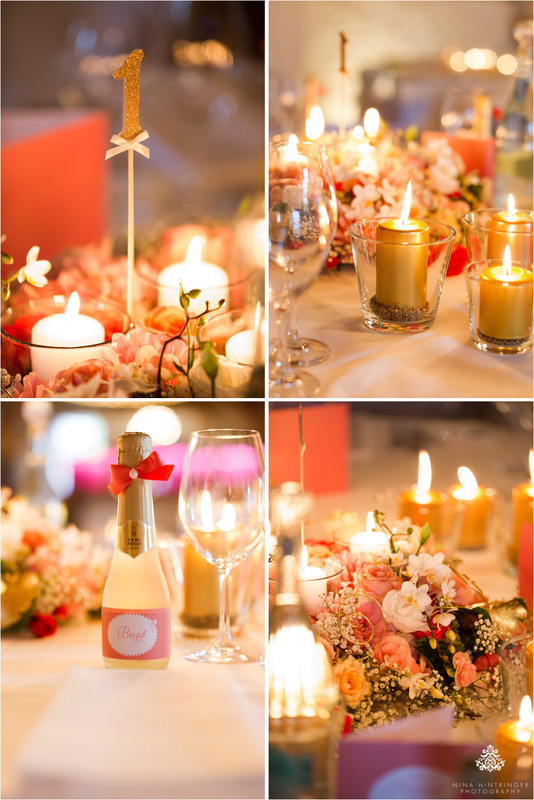 From the bottom of our heart we wish you all the best and that all your wishes for your future come true! 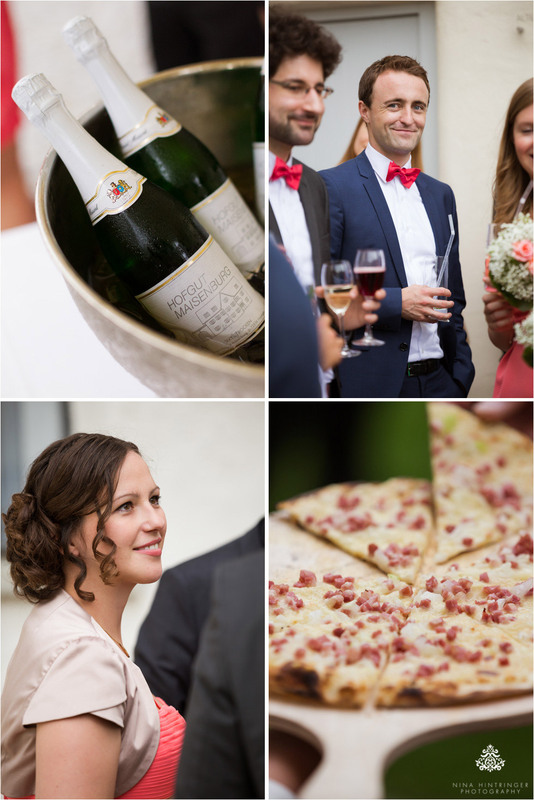 Enjoy your honeymoon to the full and let us know how much you enjoyed the Seychelles!